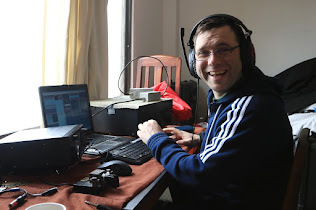 The Mayo Radio Experimenters took part in the IARU / IRTS CW Field day on the 3/4 June 2017 as EI0M/P. The station equipment was the clubs portable tower supporting a 240Ft Doublet antenna, this was connected to a balanced tuner and the radio used was the clubs Icom IC7300. Conditions were difficult as it has been for this year so far. Even so contacts were made on all bands. Thanks to the contest manager who published the results so quickly.